[Kayd.org] Book presentation: The Orchard of Lost Souls, by Nadifa Mohamed Chaired by Saynab Mahamud. Kayd Somali arts and Culture would like to invite you to a conversation with Nadifa Mohamed who will present her new novel “The Orchard of Lost Souls”, Saturday, 5th of October, 6pm, Oxford House, Derbyshire Street, London, E2 6HG. 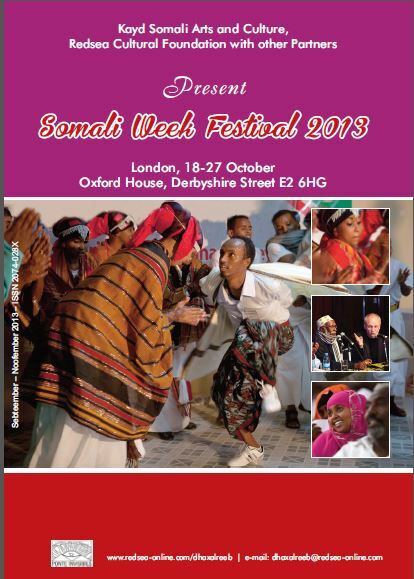 Kayd Somali Arts and Culture, Redsea-online Cultural Foundation and other partners are proud to announce the programme of Somali Week Festival 2013. This year’s festival will run from Friday 18th to Sunday 27th October at Oxford House, Derbyshire Street, E2 6HG. Guddiga Qiimaynta Sheekooyinka ee Baratanka Sheeko iyo Shaahid 2013, waxa ay soo saareen taxa sheekooyinka ku guuleystey baratanka sannadkan kaalmaha kowaad, labaad iyo saddexaad. Guddiga Qiimaynta Sheekooyinka ee Baratanka Sheeko iyo Shaahid 2013, waxa ay soo saareen taxa sheekooyinka ka soo gudbey wejigii labaad ee baratanka, isugu na soo hadhay kala saarista kama danbaysta ah. Sheekooyinkani waxa ay u kala hormarsan yihiin sida magacyada qoraayadu ugu kala horreeyaan alifba'da (alphabetical order), mana aha in ay si kale u kala sarreeyaan. Guddiga Qiimayntu waxa ay ku dhawaaqayaan sheekooyinka ku soo baxa kaalmaha Kowaad, Labaad iyo Saddexaad kulanka Sheeko iyo Shaahid ee Bandhigga Caalamiga ah ee Buugaagta Hargeysa. 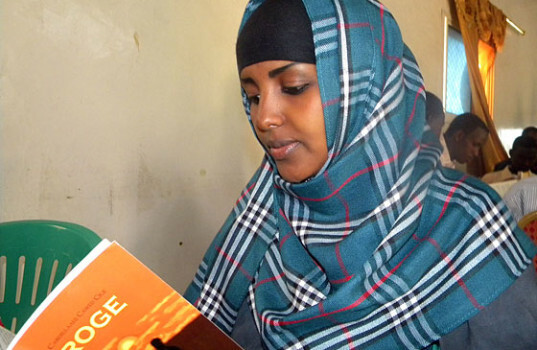 Redsea-Online Cultural Foundation and its partners are delighted to invite you to the sixth Hargeisa International Book Fair (HIBF) taking place from the 16th to the 21st of August 2013 in Hargeisa, Somaliland. 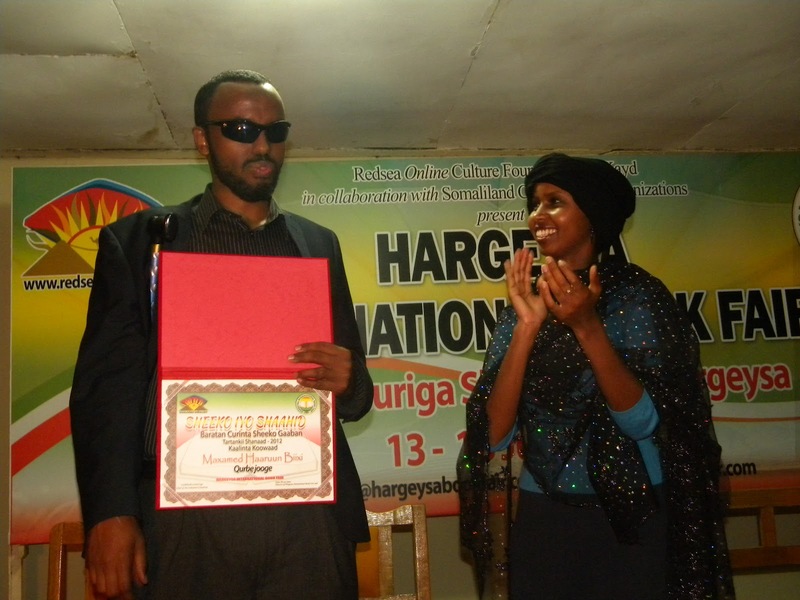 Hargeisa International Book Fair has grown exponentially over the past six years, both in size and significance. 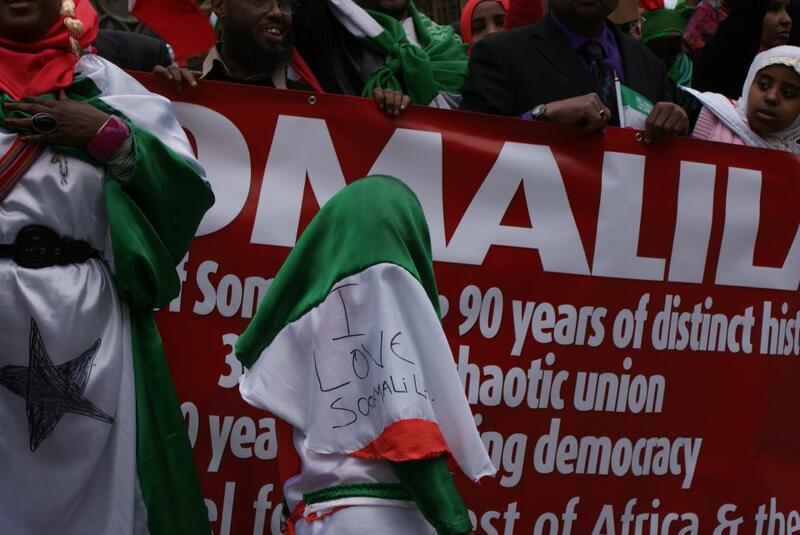 It not only represents the main platform for the arts in Somaliland, but it is now one of the largest public celebrations of literature in East Africa. The main aim of the HIBF is to promote a culture of literary arts through reading, writing, and engagement with authors and artists, and to make books, by local and international writers, accessible to members of the public. We aim to enable and encourage young people to access a range of cultural heritages and to stimulate their own creativity in order to bring about a revival of all forms of arts and human expression, including painting, poetry reciting, storytelling, drama composition and writing.